Nadia Elgrably, an award-winning designer in Los Angeles, provides her expertise and design savvy to her projects. Function, visionary design, planning, execution, scheduling, and budget are all managed brilliantly. A recent home she remodeled SOLD in less than a week for a record price. Well above expectations. Nadia has been awarded and recognized for her work on Residential and Commercial projects, specializing in Design Build. She cultivates and works closely with Contractors, Architects, and Tradesman to manage projects from planning through completed. One of the premiere Interior Designers in Southern California, her firm Nadia Designs offers comprehensive Client Care and White Glove Service. Nadia holds a Business and Interior Design Degree. Her unique ability to add creative interest, while maintaining a strict discipline serves as a benefit to her clients, and separates her from others in her field. 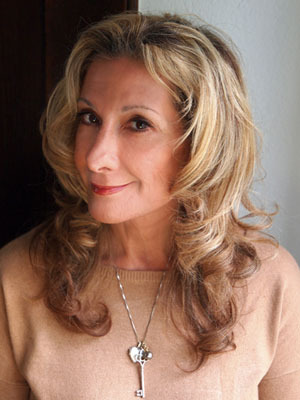 Nadia Elgrably has lived and practiced Interior Design in Southern California for the last twenty years. An Allied member of the American Society of Interior Designers, she is the former leader of their South Bay Chapter.
" Great Interior Design, is a symphony of elements. Each carefully crafted and orchestrated. Harmony is achieved with the balance and combination of those elements."